Lone Star Muscle Cars Is Proud to present this Numbers Matching 1966 Corvette Stingray. Powered By The All Famous L72 425 H.P. 427 first introduced in 66 model. This Mosport Green is a classic example of a mid year muscle car with it's correct black interior. A four speed transmission to handle all that power. Cast Aluminum Knock off Wheels, AM/FM radio, Teakwood Steering Wheel. 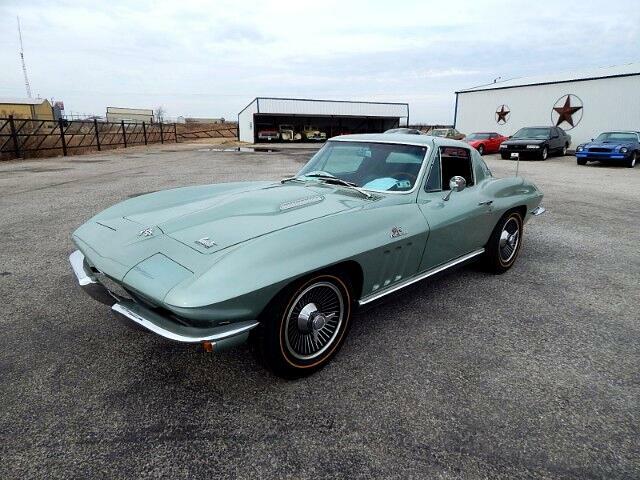 This Classic Stingray Drives as if it were new ton's of power and looks. Please call for detailed information on this Classic Corvette.